To ship a product for free you can use Flat Rate shipping at the product level. 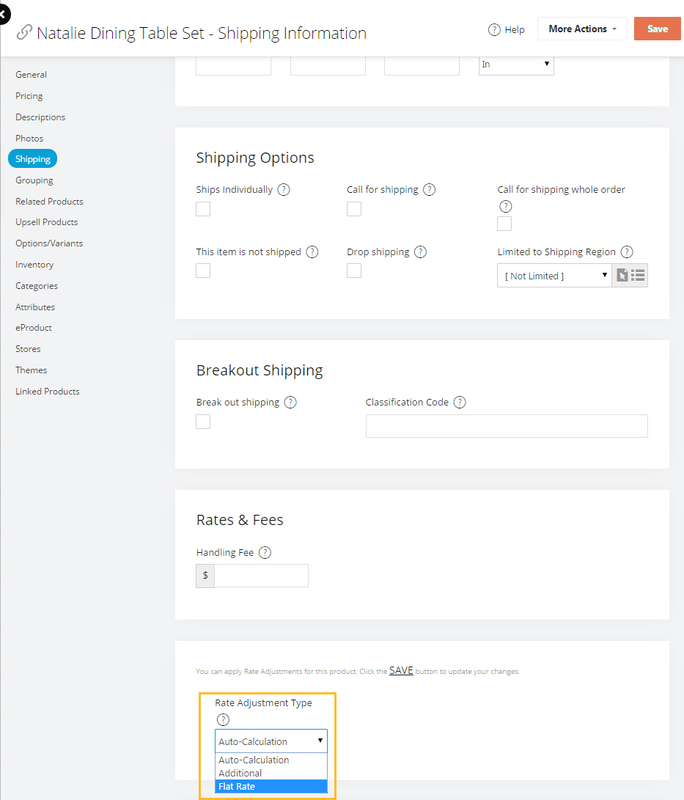 Flat Rate shipping at the product level can be setup by using the product editor for a small number or products. Or you can use the product import tool for a larger number of products. 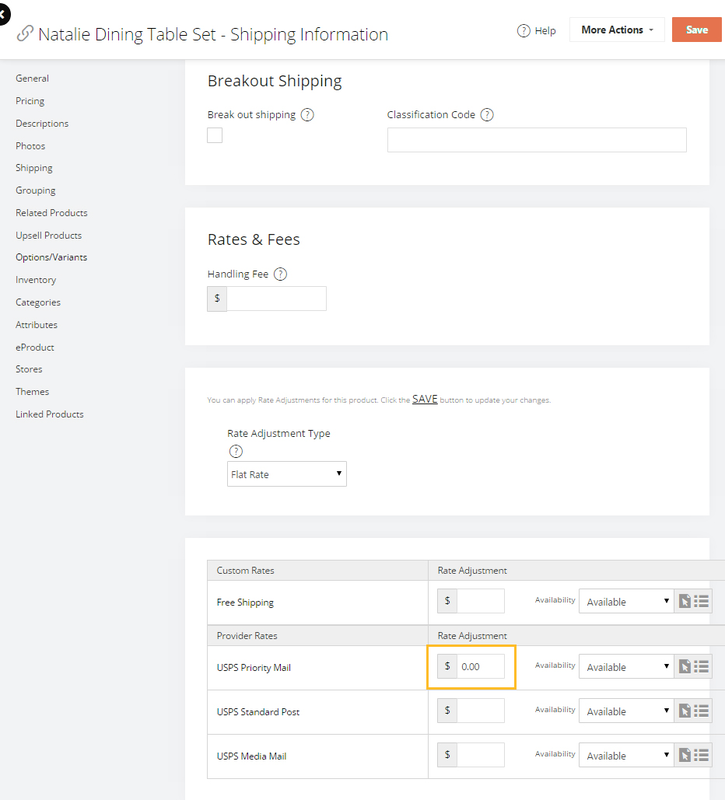 Once in the Product Editor, Select the Shipping menu and move to the Rate Adjustment Type at the bottom, then select Flat Rate. Save the settings so the Shipping Providers will appear at the bottom. Place 0.00 in the Rate Adjustment box for the Shipping Methods that will be free. Save any changes made. NOTE: Leaving the the Rate Adjustment fields blank for the other Shipping Providers is the same as placing Zero (0.00) in them. No Shipping Fees will be added to this Product. The product import tool under Tools > Data Import > Product Import is used to define free shipping settings at the product level. Use this when you need to set this for a larger number of products. You can also use custom shipping methods to create free shipping. For more info on Custom Shipping Methods, see this article. How do we allow the ability to specify that a customer wants to pick up an order? How do I Ship a Product for Free? Please Select Shipping Method... But no options appear in the dropdown box... What do I do? It would be nice if it can still auto calculate the UPS Next Day Air, UPS 2nd Day Air... etc. I did as this says, putting a zero for ground shipment methods. On checkout it now shows zero for all shipment methods, including next day air. How can I offer a product with free shipping but not let the customer choose overnight delivery? I apologize for the issue you are experiencing. We are going to open a ticket to further assist you with this. You will be hearing more from us shortly. Hello, Was this issue resolved? I am running into the same problem. I need product specific free shipping (FedEx Home Delivery method only), but regular auto-calculate on the other FedEx shipping options. I've been complaining about this for years. My competitors kill me with free shipping deals that I can't do. Why is this so hard - let me set up a free shipping rule for an item/category/cart total/whatever, that lets the customer either use the free shipping, or they can choose another method and pay for shipping. That's what ALL of my competitors do.